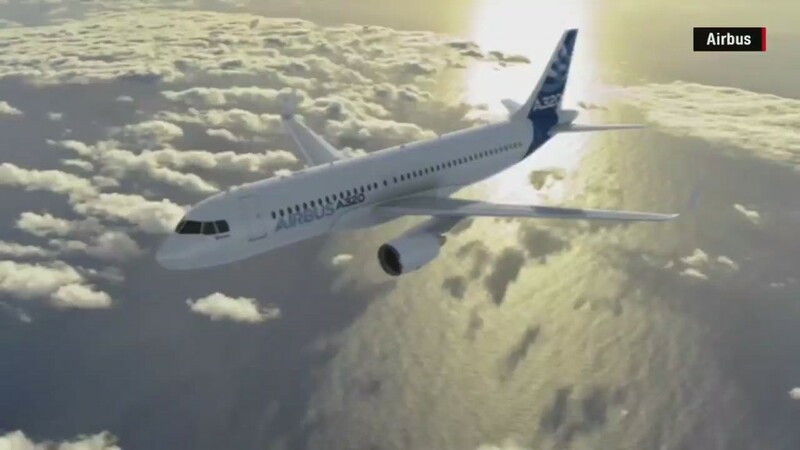 Airbus signed an order Thursday to sell 130 commercial jets to China in a deal worth $17 billion to the European aircraft maker. The manufacturing giant completed the sale during a meeting between German Chancellor Angela Merkel and Chinese Premier Li Keqiang in Germany. China Aviation Supplies Holding Company, an aircraft leasing company, was the buyer. The order was for 30 of the A330 twin-aisle jets and 100 of the single-aisle A320s. CAS also ordered another 45 of the A330s earlier this year. China is a key market for both Airbus and Boeing (BA), thanks to the growing demand for air travel there. Boeing expects the industry to sell 6,330 commercial aircraft worth $950 billion to China over the next 20 years. Chinese President Xi Jinping visited Boeing's factory in Everett, Wash. during a trip to the United States in September. During that visit Boeing announced orders and commitments for 300 commercial planes to China, valued at $38 billion. Shares of Boeing (BA), which are up 14% so far this year, were slightly lower in early trading Thursday.